Lance has over 20 years of experience in strategic planning, mergers and acquisitions, general/operations management, business development, and process improvement in industries such as automotive, aerospace, manufacturing, mining, transportation, and financial services. 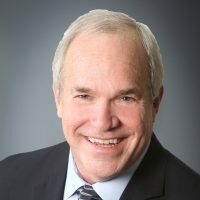 Prior to joining EHS, Lance held a number of corporate roles with Ford Motor Company, General Electric, and Pratt & Whitney, including overseeing businesses in the United States, Australia, Italy, and Thailand. He spent over four years with McKinsey & Company, leading efforts in fixed capital productivity, cost reduction, asset rationalization, and maintenance reorganization. He also served six years as an officer in the United States Marine Corps, achieving the rank of Captain. Lance earned his MBA in Finance and Operations Management from the Wharton School of the University of Pennsylvania, and a Bachelor of Arts in Economics from Harvard University.